You are here: Freebies » Announcement » How To See Hunt4Freebies Newsfeed on Facebook? How To See Hunt4Freebies Newsfeed on Facebook? 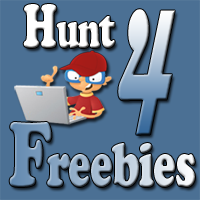 Several Hunt4Freebies readers have been reporting that they have been unable to see the Hunt4Freebies Facebook page newsfeed. To see all of the latest updates on Hunt4Freebies Facebook page follow the steps below or You can Follow These Steps Here. 2.) Also commenting and “LIKING” posts on Hunt4Freebies page should also help bring back your newsfeed. 3.) You can also create a “Facebook List” here is a step by step guide on how to do that. 4.) You can also follow us on Google+ and Pinterest. FREE Ibotta App = Earn FREE Money + $20 Welcome Bonus! Pillsbury: $250 in Yearly Coupons!